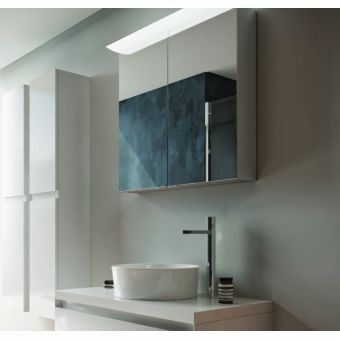 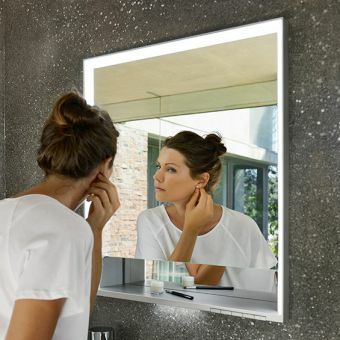 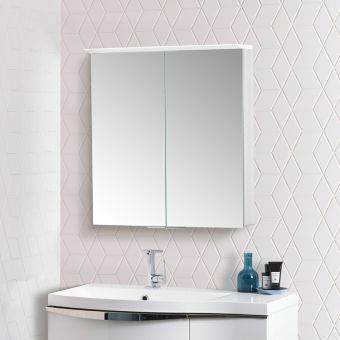 The Vantage Mirrored Cabinet from Roper Rhodes is a sleek and cubist piece, fit for use in the modern interior that opts for current, minimalist trends. 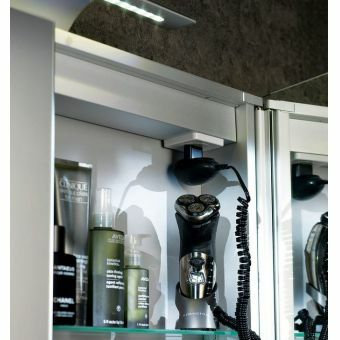 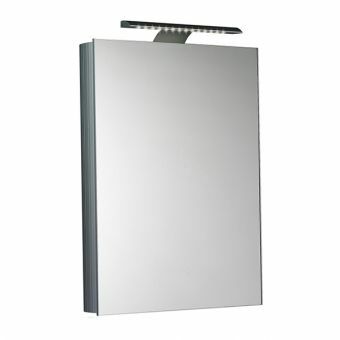 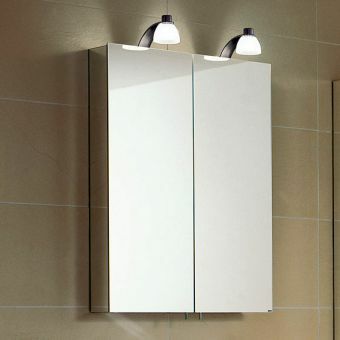 At 505mm across and 705mm tall, this medium sized bathroom cabinet is ideal for use within most family sized bathrooms. 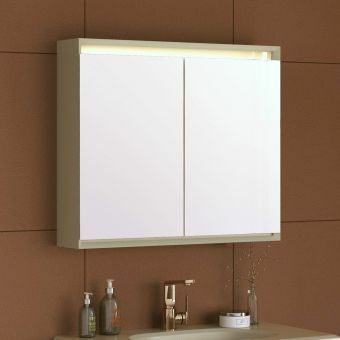 Its contemporary presentation of square form is finished in mirrored glass both outside and on the reverse of the cabinet doors, making for a highly fashionable unit. 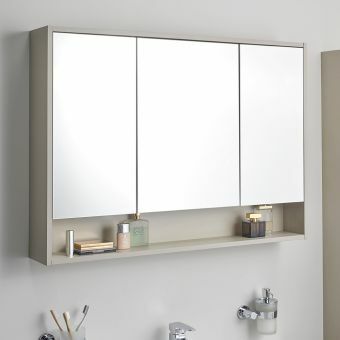 Opening on soft-close hinges, the mirrored doors reveal tow fully adjustable internal shelves, cast from glass to continue the aesthetics internally. 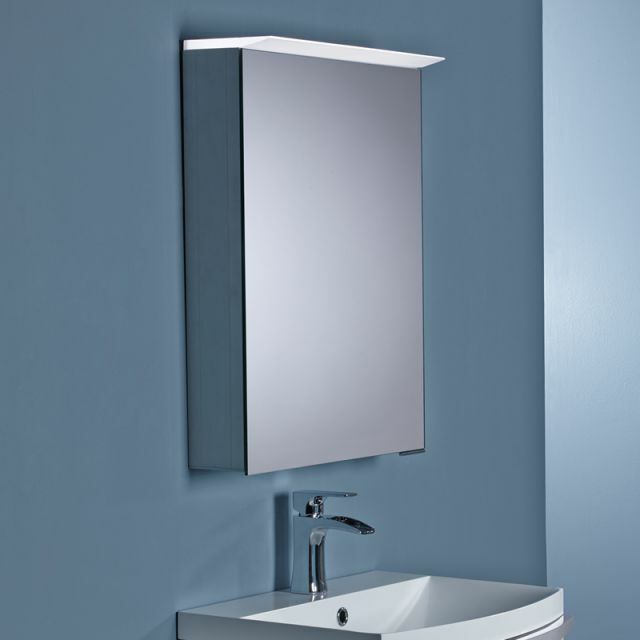 Overhead LED lighting offers a cool ambience, activated with a single wave of the hand via and infra red sensor for total convenience. 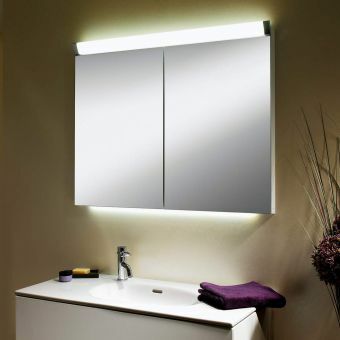 For matching items, please see our full range of Roper Rhodes products.